The festive season is a busy time for everyone, please take a few moments to ensure that your holiday celebrations are safe for your beloved feline family members. No Kissing Under The Mistletoe: Popular plants like poinsettias, mistletoe and holly are extremely toxic if ingested by your cat, and can cause anything from gastrointestinal upset to cardiac problems to comas to death. If you cannot avoid having them in your home, please make sure you keep them far out of reach. As well, remember to avoid using chemicals in the water under a well-anchored Christmas tree. Picture Purr-fect Presents: When wrapping presents, please use cloth ribbons versus curling ribbon and bows. Cats are enticed by shiny ribbon, but if eaten it can wrap around their intestines or cause serve blockage in their bowels, leading to expensive surgery or death. After wrapping presents, please make sure to store your supplies carefully. Tinsel-Free Tree: Pretty, shiny tinsel icicles and garland is a big no-no on a cat-safe Christmas tree. Like curling ribbon, tinsel is very harmful to cats when ingested, so please avoid from placing on the tree. Alternatives can be beaded garland, or long cloth ribbon. Shiny Balls: When decorating your Christmas tree, please remember to hang the glass ornaments out of reach of your cat. Cats can be tempted by the shiny decorations that can easily break when they fall off the tree leaving glass on the ground to step on or ingest. Say No To Faux-Snow: There are a wide range of decorations used to brighten your home for the holidays, and a wide range of hazards that accompany them. From the toxic artificial snow in the windows to sharp staples and tacks that deck the halls, decorations should be used with caution. All electrical wires should be taped down or placed behind heavy furniture. All of these items can be tempting for cats, and are often mistaken for toys. Christmas Cheer: Christmas generally means a lot more guests than normal to the home, and the air of excitement can leave people more carefree (and careless) than usual. Please enclose your cat in a safe, cozy room with food, water, toys and a litter box before the guests arrive. This ensures that kitty will not slip outside when the front door is opening and closing. Like anyone, your cats can become stressed by the crowds and noise at big gatherings and will appreciate the chance to be alone for a while. After the guests have left, a cozy cuddle with your cat will be appreciated. Treats, Treats and MORE Treats: Christmas just wouldn’t be the same without all of the delicious treats that come with it. Unfortunately, most of our favourite holiday snacks are also some of the most dangerous to our cats. Chocolate is a potential hazard that can actually kill your cat depending on their size, the type of chocolate and the quantity consumed. It can lead to extreme hyperactivity or even seizures. Please be careful about the ways that you include chocolate in your celebrations. For example, it’s important to avoid keeping chocolates in easily accessible areas for cats, such as hanging in stockings or on your tree. If you feel like you have to give pets a special treat on Christmas day, try making their regular diet more exciting by giving them extra kitty treats, catnip or some tuna. 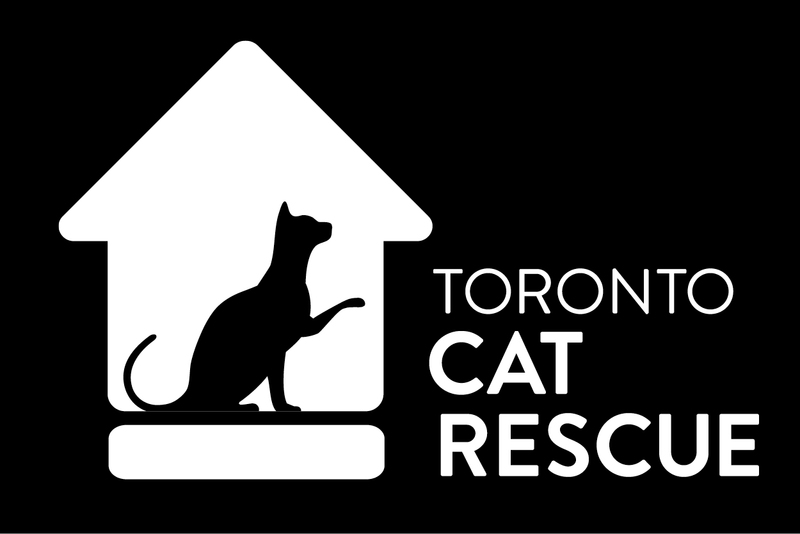 Toronto Cat Rescue wishes you and your family a safe, happy and healthy holiday season and new year! If you would like to add a feline to your family, please adopt one of our amazing cats! Pictured (Adoptable and seeking homes for the holidays… and forever! ): Brown tabby goodness Hope, beautiful patch work quilt Rose, snuggle bug Buttercup, and fluffy superstar Chorna.